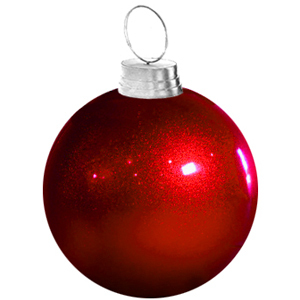 Christmas ball ornaments are a classic and timeless holiday staple that are recognized around the globe. 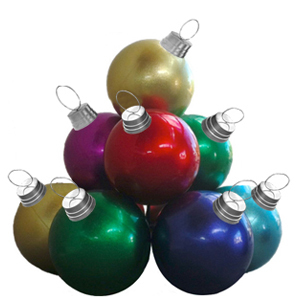 We have taken the classic Christmas ornament and supersized it to bring you larger than life, unique and timeless holiday displays for your property or event. 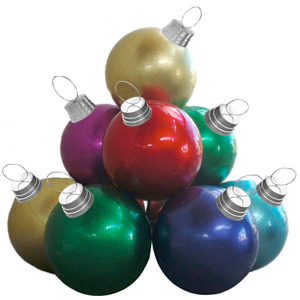 Avoid paying the middle man by ordering your giant fiberglass ornament decor from us, the US manufacturer! Shop around – we are sure you won’t find these ornaments at a better price. We are the leading fabricator of these larger-than-life ornament displays and use only the highest quality materials. 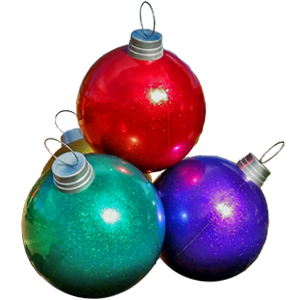 Giant fiberglass ornaments are ideal for indoor or outdoor commercial and residential holiday decor, are easy to install and require little to no maintenance for years of use and enjoyment. If you need any help choosing the correct ornament size or colors for your property, please feel free to contact us at (800) 665-2053. Thank you for shopping with Giant Ornaments!